Happy Wednesday everyone! I hope you all having a great week so far! 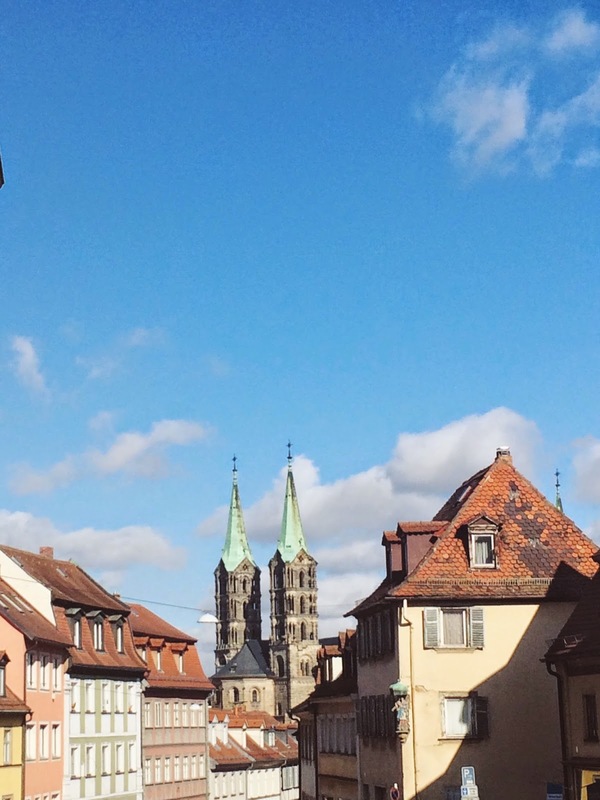 After a busy Weekend at LFW I went back home to Germany (Bamberg) for a couple of days to relax. I've kept the outfits I've packed quite simple and focused on some key pieces and I'm so glad it's finally mild enough to wear my trench coat. Love this! The coat is gorgeous, and I love the striped shirt! Oh dear!! Amazing trench and super nice pics. Wirklich sein super Look! Der Trench und die Schuhe sind einfach ein Traum! a cream trench is so perfect for spring! You are beautiful, but I must say that the background looks really magic!